Asos is a constant provider of cool, unique pieces for a great price. This piece is one of them! 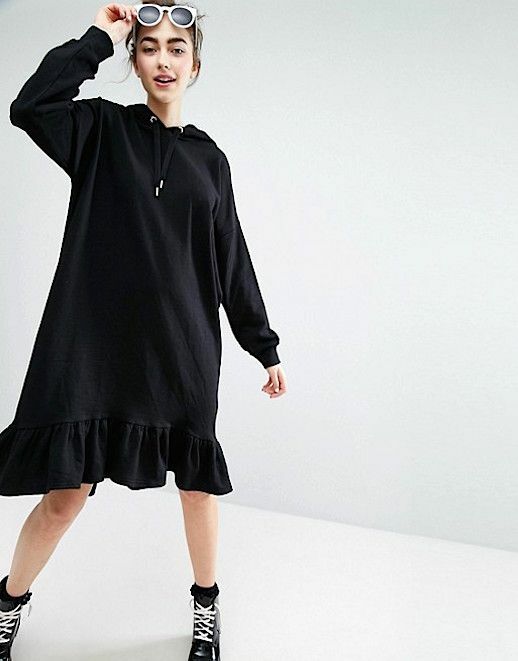 Why wear just a dress when you can wear an oversized, cozy, hooded dress? Sporty meets girly with this one. Pair it with sneakers for an ultra sports luxe look or balance it out with a pair of pumps.